Based on AFP’s reporting network, the Photo Service delivers news on everything from politics, diplomacy, economics, science, culture and sport worldwide. 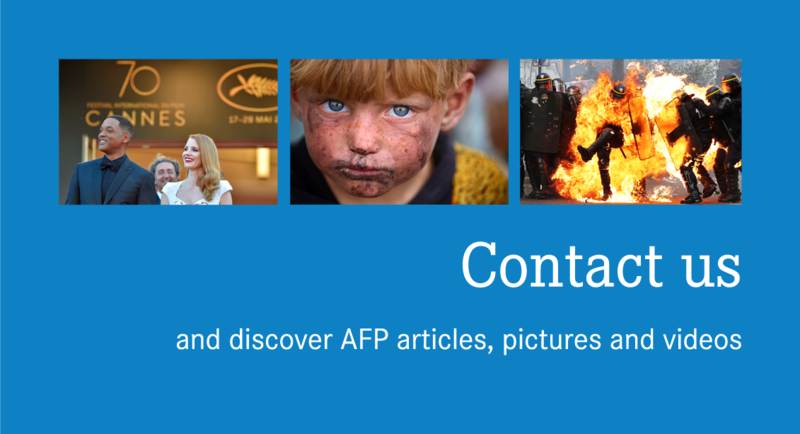 AFP’s Photo Service is one of the most frequently used by media outlets all over the world. As well as providing strong news content, AFP photos provide multiple angles on the stories they cover. The Agency’s photos enable all dimensions of a story to be explored, whilst retaining essential professional impartiality. Added to the expertise and quality of the work produced by the Agency’s photojournalists and editors, the photo network uses the most advanced technologies available to deliver images in real time to its customers all over the world. AFP’s International Photo Service produces 3,000 new images a day to provide ongoing coverage of all of the world’s news. Regional feeds (covering France, Europe, Africa, the Middle East, North America, Latin America and Asia-Pacific) cover key international events, as well as news from their own region from a local perspective. AFP’s International Sports Photo Service covers all global sports events (World Championships, special events) and other international events (European Championships, Asian Championships, the Commonwealth Games, etc.). Comprehensive coverage of international events such as the Asian Games, the Commonwealth Games, Cricket Tournaments, etc. AFP Forum is a web platform designed for the press, websites and businesses. Subscribers enjoy real time access to all of Agence France-Presse’s photo and graphics output and to the photo collections of over 50 partner agencies. organised into six categories: news, economics, sport, celebrities, features and fashion. The AFP Forum alert tool provides personalised updates of AFP’s photo content in real time via email. The Exalead© search engine is integrated into AFP Forum for a faster, more intuitive search. AFP’s editorial teams bring together the best of the news in pictures via daily photo galleries. The ’24 hours in pictures’ slideshow features the 12 most striking images of the day. Teams of photographers provide daily coverage from the fashion world’s most prestigious runways during the Spring-Summer and Autumn-Winter shows. A selection of the best pictures from all the designers and all the shows is available in slideshow format. AFP selects between 30 and 50 of its best unusual shots per month. AFP offers an on-demand reporting service that provides media clients with responsive, tailor-made solutions that can be deployed worldwide.